The Chanticleer Guest House is a Door County Bed and Breakfast like no other. Door County history is on display at our bed and breakfast, from the skillfully restored farmhouse and barn to unique period antiques and thoughtful interior design. Attention to detail abounds. It shows in every plush pillow, sunlit room and cherry-pecan soufflé. Nestled among the orchards of Door County, this is truly the most unique bed and breakfast in Wisconsin. With rolling hills, ample hiking trails, a natural pond and more, our property is pure Door County. In summer, see the beauty of the orchards in full bloom. In the cooler season, hibernate in the lap of luxury. For the romantically-inclined, each cabin has a fireplace and double whirlpool tub. 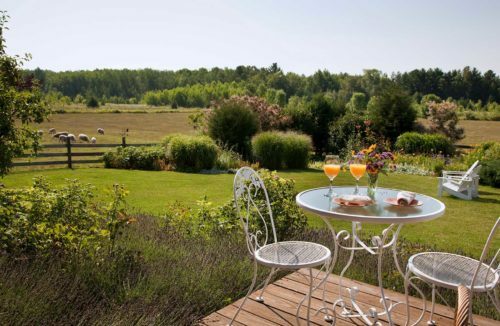 Spend your time hiking, swimming in the pool or sightseeing You’ll want to savor every Door County moment at this bed and breakfast while you can. Get to know one another all over again in the quiet intimacy of our Door County bed and breakfast. Hide away in the best Door County honeymoon paradise in the privacy of your luxurious guest room or see all the sites and attractions around us. Start your new life together with us, or reinvigorate your relationship with a second honeymoon at the luxury bed and breakfast of your dreams. Each one of our bed and breakfast rooms and suites is tastefully decorated with period antiques and comfortable furnishings. Each of our suites, cabins and cottages has plenty of room to stretch out, and with unique layouts and features, you’ll want to say in them all! 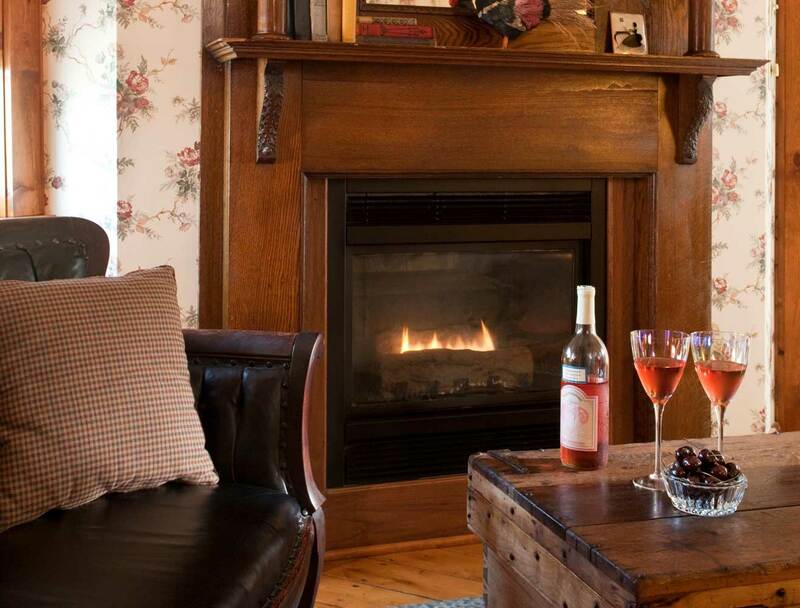 Whirlpools, fireplaces and breakfast delivered to your door – you’ll find it hard to leave the inn each morning! Call them cabins or cottages. We like to call them your home in Door County. Our four luxury cabins are the perfect setting for your romantic Door County weekend or an extended Door County honeymoon vacation. 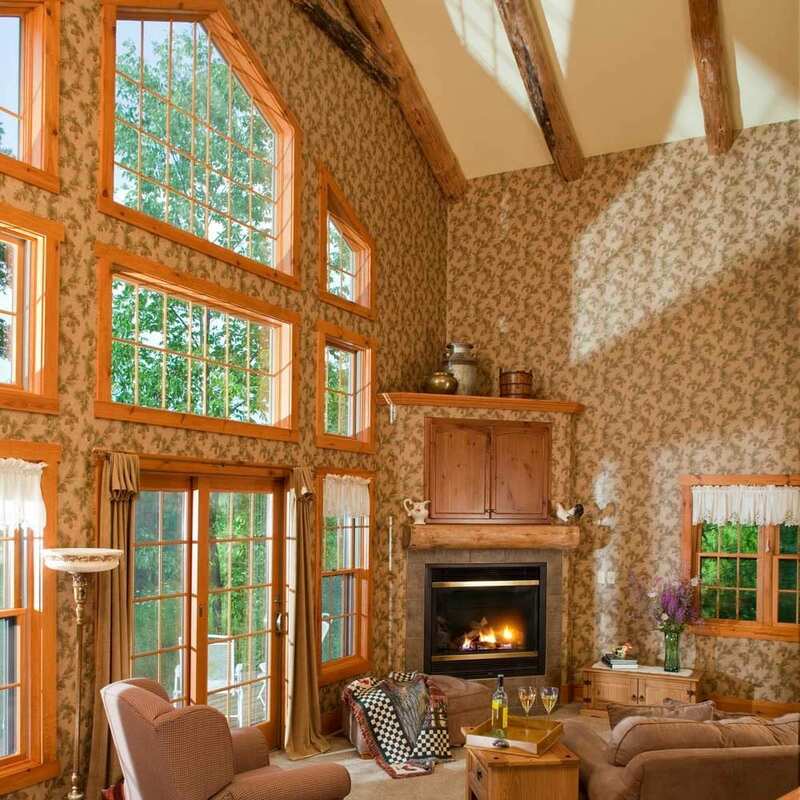 These aren’t just your regular Door County cabins and cottages – this is a world-class bed and breakfast! That means you’ll find our amazing breakfast waiting for you to pick up at the main inn each morning!